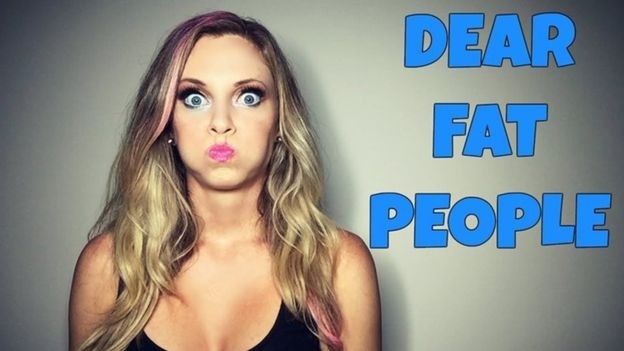 A comedienne named Nicole Arbour has sparked a row over general online etiquette as well as censorship laws on YouTube. Ms Arbour recently launched a heated attack on the obese, with a verbal tirade – or rant – lasting several minutes on their derision. It was sort of funny – sort of. The response to her video though, as expected, was one of parochial outrage and offence. Her YouTube channel was suspended on the site after her video had received so many complaints. I think that says an awful lot about today’s society. It’s 2015, a space of time which will be remembered in the future by not what you said, but who you offended. So many people have lost their backbones and have devolved to online invertebrates, immediately siphoning off the conversation to the recycling bin as soon as it turns sour or difficult to stomach. Now instead of challenging a view, many prefer to ostracise it by shutting off the discussion with an immediate and practiced click of the “offended” button. Why bother engaging when it is far easier to delete and ignore? Sadly though, what’s evolved from this practice is a society which tip-toes around tricky issues, reducing important topics to a taboo status and therefore they become unquestionable. That’s not to say that Ms Arbour was anything but gung-ho in her approach (obviously because of the extra hit value from being abrasive) but it doesn’t justify so many people’s quick reflex to the ban button. “Fat-shaming is not a thing. Fat people made that up. If we offend you so much that you lose weight, I’m OK with that. You are killing yourself,” she said. In the early days of The Backbencher, our Twitter account engaged in a debate about how animals should be fed in zoos. We entered – so naively – into a discussion where we thought we could explore different ideas about this topic; namely, whether live-feeding animals is a good idea or whether it causes too much distress. By simply adopting the role of devil’s advocate to pursue further understanding we were labelled “troll” and soon after there was a pocket of people who campaigned to ban our account from Twitter. Moreover, our ad hoc Columnist, Old Holborn, was chastised for months on end by a vociferous group intent on removing his presence entirely from the internet; I believe he is well into his 30th Twitter account to this day because of their actions. And as such it becomes clearer: part of society does not want to engage in difficult discussions and another part pursues its desire for an oppositionless internet. It’s a sad state of affairs when pig-headed blinkered people define the rules of the game. As the case of Nicole Arbour shows, your opinions have to be in-line with the offendotrons’ expectations; your delivery must be politically correct; and you must curtsy on your way out the door after agreeing with everyone. What’s so scary about her underlying point? There isn’t much to disagree with there. In fact I’m sure Arbour would have the full support from dieticians and sports scientists about her comments – which is what makes this discussion so ridiculous, that an on-point message can be disregarded because it is offensive. 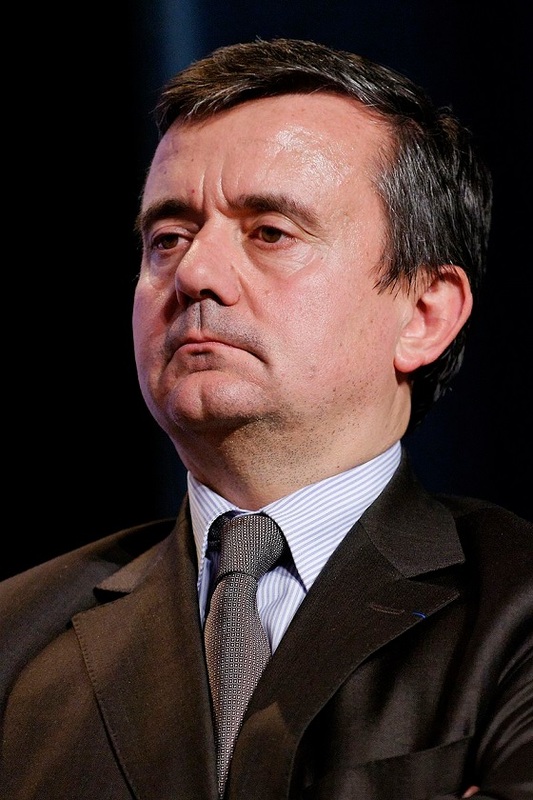 French Mayor, Yves Jego, of Montereau has called for the schools in his area to serve vegetarian options only to pupils, as he is worried that the influx of migrants in France from the Mediterranean will be offended at the options in school canteens. Yves Jego has even promised to submit a draft bill which will legislate that schools will be forced to adopt his new principles. Jego, the food fascist, believes that religious students are avoiding state schools in France because of the food being offered. Surely the lack of options in school canteens highlights the need for greater diversity in school menus, rather than collectively forcing all to eat vegetarian meals. I wonder about how the local school kids will take to this potential change in their school meals. It’s France after all so I predict a riot. 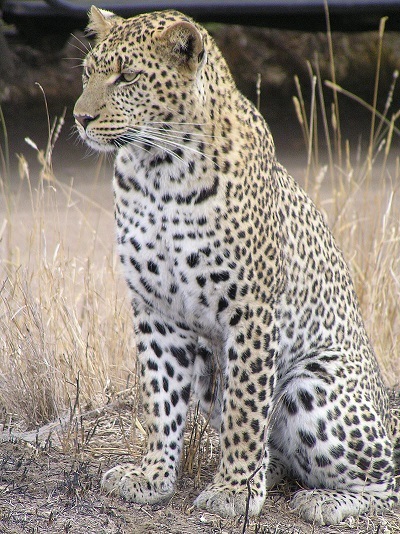 A youngster called Lauren Mcdowell has decided that it would be a good idea to shave half of her head off and then dye her hair to mimic the spots on a leopard. Unsurprisingly, the schoolgirl was quickly removed from school because her hair was deemed inappropriate for school uniform. Looking at this issue from a Libertarian perspective, Lauren doesn’t have much of a case. She has herself opted to go to this school (she could have chosen another school or be home schooled) and by doing so, she must succumb to the rules set by the school’s hierarchy; namely, not to have an outlandish haircut. This is not a breach of anyone’s Human Rights. Article 26 is the Right to an Education; sure. But there isn’t any Human Right which establishes the ability to have a stupid haircut. It sort of degrades the value of Human Rights to think that there is. Likewise the same framework would be constructed by an employer should Lauren have been a little older and opted for the same haircut in the workplace. Would it be a breach of her Human Rights when her boss tells her that – let’s say – her sales figures are rotten because of her ridiculous haircut? Nope. If school is anything it is a preparation step for the real world. It is a place for personal development and education, sure, but it is also a venue in which kids are given the skills they need to thrive in a ultra competitive environment. That’s why the school is absolutely correct to remove Lauren until she changes her hair. NUS Passes Motion to Abolish Gay Men’s Reps because “they don’t face oppression”. Should the study of politics be considered an art or a science? What Role Did Nuclear Weapons Play During The Cold War? Can you compare Scotland and Catalonia? 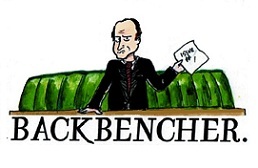 Copyright © - The Backbencher Limited. All rights reserved.